The bookmark is a useful tool in our Chrome browser to ensure we wouldn’t lose the web address we desire to visit again. But after a while, the growing list of the bookmark can be frustrating. Thus, we wish to delete some. 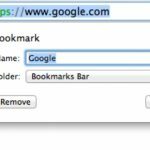 To do that, there some ways on how to delete bookmarks on Google Chrome from a computer and mobile devices. Just like how you bookmarked the page by clicking on the star icon at the right side of the address bar, you can also delete it from there. First, you should open the bookmarked page you want to delete. Click on the star icon until the command dialogue appears, then click Delete. You have successfully deleted the bookmarked page if the star icon turned hollow. When you open your browser Setting (the three dots vertical button at the top right), you will find the bookmark menu. Point your cursor to Bookmark to expand the bookmark menu, and also there will be your bookmarked pages listed below. To delete it, you have to navigate your cursor to the bookmark you want to delete, right click, then click on Delete. If you activated your bookmark bar, then this task will be easier since you only need to expand the bar and right click to Delete. Just like the previous method, open your bookmark manager through the setting (Setting à Bookmark à Bookmark Manager). Or you can also use the shortcut by pressing the combination of CTRL + Shift + O at the same time to the bookmark manager directly. To delete the bookmark, right click on the bookmark then click for Delete. You can also left click to select the bookmark then press Delete key on your keyboard. To delete the Google Chrome bookmark in Android, you have to open the Setting menu (three vertical dots) and tap Bookmark. You will see your bookmark list, and on each list, there are others three-vertical-dots at the right side. Click on the dots of the bookmark you want to delete, then click Delete. Also, you can delete by open the bookmark page, click the icon until the bookmark dialogue appears, then tap for the trash bin icon. Different from the Android, in the iOS the Setting menu appears as three horizontal dots, click that then click Bookmark. To delete one bookmark, simply swipe left and then tap for Delete. But if you wish to delete two or more bookmarks, click on Select at the bottom of the page, then click Delete. Now you know the methods on how to delete bookmarks on Google Chrome for both web and mobile. That way you can organize your bookmark list and wouldn’t miss some bookmarks you truly need over the trivial ones. And while deleting, make sure that you’re removing what you want to delete. What comes to mind when you are thinking about a powerful and handy antivirus program? A well-known name and brand? A trusted and reliable service? A wide array of features? The simplicity in operating or managing the task? 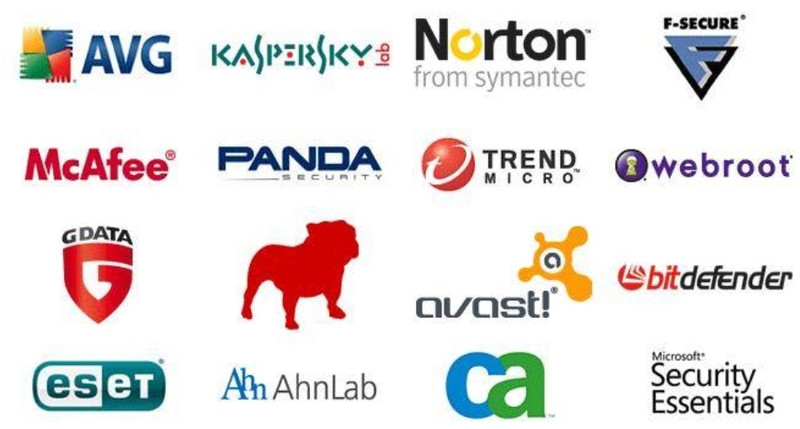 When it comes to choosing the right antivirus, things can be complicated and confusing. 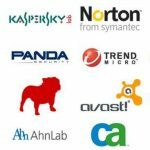 You need to realize that there is no such a thing as a perfect antivirus. The right antivirus exists but it depends on personal preference and needs. That’s why you need to understand the basic function of such a program before making a decision. Basically, the antivirus program will be your first defense against threats and attacks. If you have a solid and very good antivirus, then you won’t have to worry about a thing. The program basically will filter out everything that comes to your computer. It will filter the contents and track the sources, and then it will record the data. All the information will be collected inside the database to make sorting out process easier. The program will monitor your computer system all the time – basically 24/7. If there is something suspicious (whether it is an activity or a file), then the program will filter it out, record the data, and keep it in the database. It will index the suspicious file or folder, catalog it, and store the information. Once it is kept in the database, it will set up the basic info for further activities. When it is updated, you can get the most benefits out of it. There are two major operational types of the antivirus: the active one and the passive one. Passive antivirus requires the users to perform the manual scan or have a scheduled checking of the virus. The active one runs automatically. It usually detects in a real-time manner and immediately fights threats. In most cases, the antivirus program will have 3 basic options when it finds any suspicious activity or files. Deletion. In most cases, antivirus software will automatically delete the file. After all, deleting it will be the best choice because you generally remove the threat for once and for all. However, some viruses are pretty ‘clever’ and they make themselves unable to be deleted. If this happens to you, then your only option is the second one. Quarantine. The antivirus software will quarantine the virus –separating it from the others. By isolating the threat, it is expected that the file or folder won’t be able to spread and infect other files. By isolating it, it is expected that further damage can be prevented or at least minimized. Ignorance. This is the least favorable option because your antivirus will basically do nothing. Such a program usually tries to come up with a solution first. But when it is helpless, it simply ignores the threat. Such a thing can also happen when the antivirus is pretty weak and lame. This is a common thing that usually happens in the antivirus program. Such a program like Smadav can provide an extra benefit, especially if you want to scan external devices. It doesn’t hurt to use an additional antivirus program besides the main one. An integrated sound card is sufficient for most users, especially for gamers. Moreover, it works great for listening to music, watching some YouTube videos and others. Therefore, here are top five the best windows 10 sound cards. The HT Omega Claro 11 delivers 7.1ch surround sound with great audio quality with CM18788 audio processor. Furthermore, it provides up to 7.1ch analog outputs, coaxial output, and optical input/output. In addition, it also offers 2Pin digital input and 2Pin digital output onboard. The analog outputs are enhanced by the AD8620BR OPAMP resulting in high-quality and unrivaled audio experience. At the weight of 1 pound, this sound card is lightweight so it’s so easy to handle. The Claro 11 is a great choice to custom computer builders. Moreover, it costs around $184.99. This sound card is a high-performance sound card which is also very cheap. Moreover, creative is a top brand in the manufacture of sound cards. Its simple design, quality features, and affordable price earns customers’ trust. It delivers a compelling 5.1 multichannel converting your PC into a cinematic entertainment system. The Audigy delivers 106 dB of signal to sound ratio, so users get 20db more than standard sound cards. The Sound Blaster is the best windows 10 sound cards with audio processors such as SBX Pro Studio. Moreover, the high headphone amplification up to 600-ohm results in distortion free audio. The StarTech is another the best windows 10 sound cards. 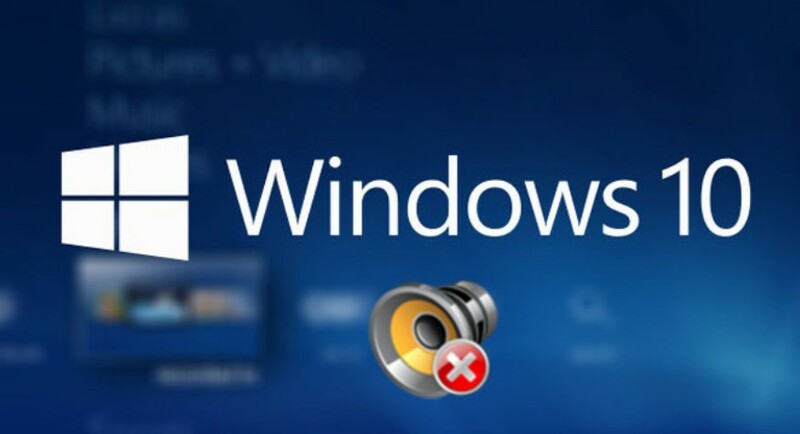 It saves the users from the trouble of scouring the web looking for drivers for Windows 10. Moreover, it costs around $46 which is very cheap. However, its quality is like other high-end sound cards in the market. This sound card delivers 7.1 ch surround sound supporting optical and analog audio devices. The installation process is simple and straightforward. Furthermore, the StarTech is much smaller in size, so it fits in custom builds of any size. It has multiple connectivity options to connect easily on the computer. The simple steps make the users ready to use this sound card. Firstly, insert the card and provide power with a Molex 4 pin connector. Then, power up the PC and go to the BIOS to disable the “on-board” sound. Save and exit the BIOS and load the drivers. After doing all of those steps, the users are ready to use “on-board” sound on their motherboard. The DAC’s are the capable Burr-Brown PCM 1792A’s providing 127 dB signal to noise ratio. Therefore, this sound card is highly recommended. The Asus Strix SOAR Sound Card provides great sound quality featuring V-shaped sound signature. Moreover, it’s a bit emphasis towards highs and lows. In addition, it is much more exciting and engaging with more artificial highs and lows. However, the price of this sound card is not that cheap. Moreover, the Sound Blaster Z doesn’t support Linux but are compatible with Windows 10. Those all of top five the best windows 10 sound cards. The variety of the price with the reasonable facility will spoil the windows 10 users for its high-quality sound. Lastly, nowadays those sound cards are available on Amazon which is easy to find. Amongst all genres, racing games are still favorites to a lot of Android users. As a result, mobile game developers seem to race to create the best racing games for Android to be the best in the competition. The winner is the one who is able to attract most players to download the game. However, it is still difficult to decide which of the games available the best are because each may have his own favorite. 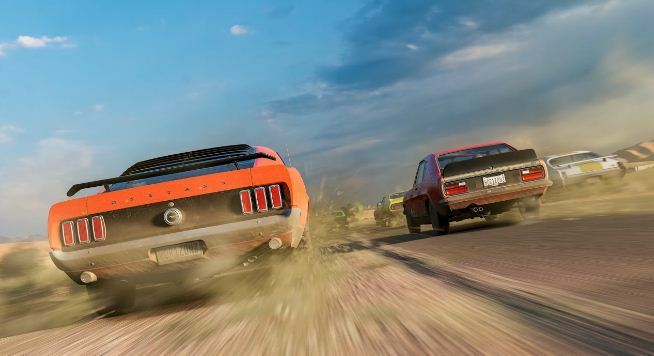 Well, we have a list of racing games that you surely want to play. Let’s check them out. 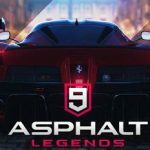 The Gameloft’s Asphalt 9: Legends deserves to be listed on the top for this provides you with most things you want to experience while playing a racing game. Stunning graphics, quality HDR effects, and excellent details at almost every corner are what you will enjoy from the game. As the default control option, you can choose the Touch-Driver in which you just need to focus on controlling the nitro-boosters, drifting, and diving in the air. However, if the automatic mode is not what you want, you can go to the manual steering option to feel the real deal. The game offers you more than 800 events as well as weekly and monthly events. Win the races in order to unlock interesting rewards including unlocking new cars and new events. Play the multiplayer mode in order to compete with up to 6 rivals. For sure, there are a lot more to experience when playing Asphalt 9: Legends. Real Racing 3 is EA games’ third installment that offers one of the most realistic Android racing games. The fact does not only make it one of the best racing games for Android but one of the most favorites out there as well. The game offers full content that consists of more than 100 cars from various automotive manufacturers such as Ferrari, Lamborghini, and many more. There are also various racing modes including multiplayer one. Surely, just like what the name suggests, this one is what you want for an Android game with realistic aspects to play. Do you love drag racing game? CSR 2 is what you surely want to play if you are the one who wants to experience playing drag racing on your Android. For sure, the goal of every race is to be the fastest to touch the finish line. In this case, you can control the gears on your screen due to the fact that the drag racing game always emphasizes in a perfect shift. This is the main challenge to deal with. In addition, CSR 2 offers you interesting features including car-customization, a multiplayer mode, and many more. Well, those are our top three of best racing games for Android that you should play. For sure there are a lot of racing games that you can download and play out there since the genre is still one of the most favorites. Thank you for the visit and keep visiting us for more updates. 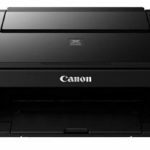 Canon printer is one of the most favorite worldwide. This fact makes it easy for most Canon printer users to install the Canon Printer driver, especially in the latest Operating System. Commonly, you do not really need to install anything manually when you want to use the printer because your PC will automatically detect the machine when you connect it. However, there is also the possibility that you work with a computer that runs older Operating System such as Windows XP that requires you to install the printer driver before you can use it for your print tasks. In this case, you will not get any problem when you still have the CD driver. But, you may have lost the CD so that you need to search for the printer driver software from different sources. We have the ‘how’ for you. The easiest and fastest way to install the Canon Printer driver is by downloading the software first from the internet. For sure, we always recommend you to download the file only from trusted sources. In this case, the manufacturer’s official website is the best and safest place to visit. The first thing that you need to do is visiting Canon’s official website. Next, you can select the ‘Support’ section on the home page and go to ‘Consumer and Home Office’. Please find the ‘Product Family’ dialog and choose ‘Printers & Multifunction’. You can continue to the next step of choosing the product by scrolling the bar on ‘Product Series’. When you find the appropriate model, select ‘Drivers & Software’. Finally, you can download the link of the driver you need after you select the OS you use. When finished downloading, you can simply install the driver by double-click the downloaded file. Please make sure that you follow the whole instructions to complete the installation. After finished, you can use the printer normally. For sure, the official website is not the only source to go to download the Canon printer driver you need. However, we need to remind you that going to other websites may bring some unwanted consequences to your printer and PC. Therefore, it is always important to set up the alarm. You need to take some time to double-check whether or not the file you want to download is safe. In this case, you can use your common sense to observe first the website before you decide to download something from it. Everyone knows Angry Birds game. The birds that were made as the character of Angry Birds has become an attraction and uniqueness. Even from the beginning of its appearance until 2013, Angry Birds was recorded to have been downloaded over 250 million times, it is not included the merchandise sold on the market yet. The thing that makes this Angry Birds game phenomenal is because, since its inception, the game is very fast able to dominate several top digital application markets or Apps Stores such as Google Market, Apple Apps Store, and also Playstore. It’s interesting to know about the person behind the scene of this popular game. This time we will find out about the history of Angry Birds, here is the information. Angry Birds was first created and developed in March 2009. 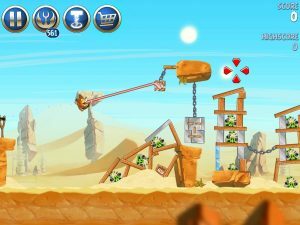 After the Rovio game development team has successfully created this game, they released the Angry Birds game in December 2009. Angry Birds is the number one game application in Finland. Then, this game spread the wings to the United States and also Britain, this country is a place where Apple companies become the key to the success of the Angry Birds game. At that time, Rovio was looking for an idea about a simple game that they could be played on the touch screen platform which was then followed by other types of gaming platforms. They want to keep using the old traditions they believe in, they said “This game must be easy to play, but difficult to master” and the beginning of an idea of ​​creating this highly addictive game arises. The Angry Birds game is not an easy game. Even though the target is quite simple, that only gets 3 stars on each level, then find all the golden eggs that are available, and break down the structure appropriately. Because of that, the Angry Birds game has changed from a simple and easy game to a very challenging game and even often frustrates the players. That is why this game can make the players get addicted because of they curiosity when they did not get 3 stars easily. Angry Birds continues to make innovations on the platform. Currently, Angry Birds has been present in 11 platforms. Do not stop there, they also plan to get on Facebook. Rovio has a dream to become an iconic brand from a collection of games, just like Disney. They have now developed their market area and have promoted Angry Birds in Asia. In the game, the Angry Birds players will shots and launch birds to the target. The target is the pigs that have various shapes and sizes. The aim of the game is to destroy all the pigs in the game. Players must win several games so that they can get new bird characters. Each bird has different abilities, this ability can be activated by players. 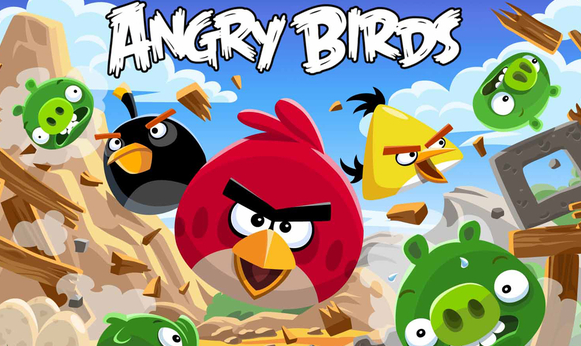 Rovio mobile has provided support to Angry Birds by creating several new additional versions. In the latest version, there are additions to the game content. This game has also been published in certain events. Angry birds are made not only as a game application, also not a product, but Angry Birds is a brand. I think this is the mindset that every local game developer must have. Rovio has 120 employees. The office is across from the Nokia headquarters in Espoo, Finland. Angry Birds is made in Symbian, after success and popular in iOS, then they get into the Android platform, but then get hijacked, and after that this game was free for the Android platform. That’s some interesting information about the global Angry Birds game. ROBLOX game is a game to create games that are now present for the Android platform. You may be confused by the statement of ROBLOX descriptions. ROBLOX is made by Roblox Corporation. This is a sandbox creator game that allows you to be able to create your own games as you want by using the ROBLOX Builder Kit which is very simple and easy to use and also recommended technology for beginner who wants to learn. In addition, ROBLOX also has “create & share” features that make you able to share various kinds of game content that have been created with other players, so they can play it out there. 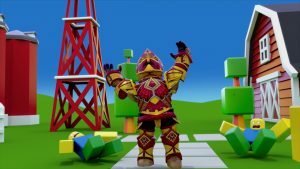 ROBLOX itself is not a new game for gamers who love sandbox games abroad, especially in Europe and America. ROBLOX which is a combination of the word “robot” and “block” was first released for Windows PCs and Macs in 2006. Unlike the other sandbox games creator like Minecraft which are much simpler to made and simpler to play, ROBLOX allows you to enter your own coding to provide unique gameplay variations and represent the genre of the game that you want. The result is, more than 14 genres are currently available for you to play on the ROBLOX, including the genre of FPS, Fighting, RPG, Action Platformer, and so on. Of course, it cannot be called as a mobile game if you do not find the fun of playing the games when opening ROBLOX on the Android gadget you have. With thousands of content from the various catalog genres that existed earlier, you can choose for yourself some games that made by the other players. You can access it through the main Game Browser menu which is a little stiff to be implemented into the smartphone version. 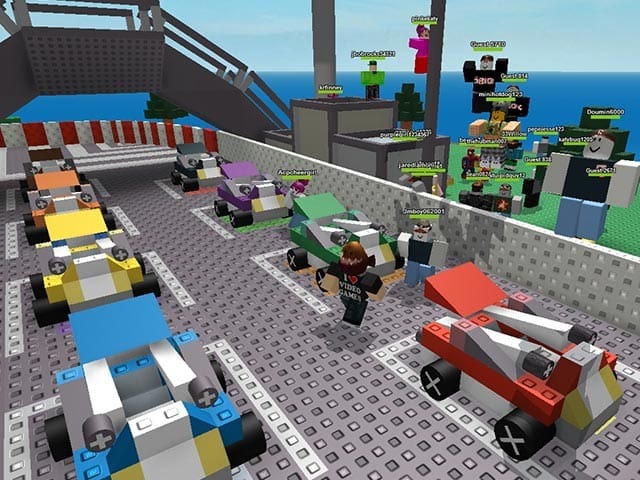 For some gamers, playing ROBLOX will remind them of the Minecraft Pocket Edition sandbox game but with gameplay and visual shapes that are far more varied for the size of an open-world sandbox game. With controls that are more or less the same as FPS games on mobile, in here you are free to enjoy this game all you want as long as your internet connection is good and smooth, or if not a very bad lag will give you a ridiculous visual glitch impression for you to watch. Unfortunately, there is no option to eliminate chat chats that spend a quarter of the screen, so the view on the smartphone screen is really limited and many screens are blocked. If you are interested in playing an open-world sandbox game that is quite varied for your Android device, then I will recommend ROBLOX to you, and make sure that you are connected to a good internet and gadget/tablet you have a fairly capable spec. In this technology era, you will find many advanced things which can help you to do something in an easy way. One of the advanced things you might see is an internet. While you are surfing on the internet, you will find there are thousands of websites which can help you to find out information. 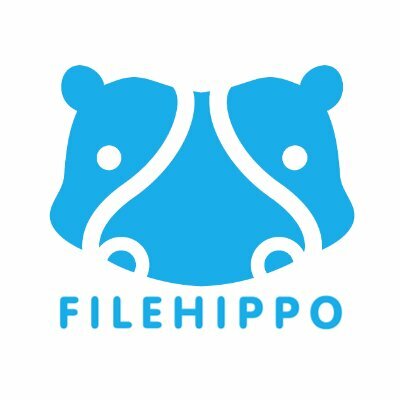 The provided information will be different from each other as if FileHippo. Have you heard about it before? Many people say that it helps you a lot to get the software you need for your laptop or PC. Do You Know About It? Well, FileHippo is a download website which provides computer software for Windows only. Thus, if you use Windows as the operating system in your laptop, you can use this website to download software you need. It has updated software you can choose whether want to download the newest one or the oldest one. You should not feel so worried whether you would like to download the oldest one because they still keep the oldest files in their system. Thus, while downloading the oldest version of the software, you still have a chance to get the oldest version of the software itself. Some PCs require the oldest version and not supported for the newest version. It is the right chance for you to get the oldest version of the certain software you need. If you want to download the certain software and you find it on this website, you can start to download it. It is an easy way to use. First, open up their official website. Then, you can find the file software you need to download. The search tag will help you to find file software easier. You just have to type the name of file software and search it. Then, you can choose one of the files software you would like to download. Make sure you choose the right files depending on your laptop specification. After that, you can see a download button on the bottom of the file software. Click it. Then, you just have to follow the direction until it has started to download. It is so easy to use, isn’t it? After your download is a success, you can start to install and run the software on your laptop. Usually, the newly downloaded software will appear on your desktop screen. Thus, you just have to double click on it, follow step by step. Till then, the software is ready to use in your laptop. Is It Available for Smartphone? Unfortunately, this site is just available for PC only. You can’t download the software from this site to your smartphone. Even if your download has success, you can’t install and run the software right away. In other words, don’t force your smartphone to download, install, and run software for PC from this website. You should not be afraid to use this download website because there are many people who have downloaded software on this web. You also can see that there are many positive reviews from any users through this site. Those are the popular downloaded software in this site. If you need software, you just have to search and find it because this site provides any software which is needed by many users. After using them, you are able to leave your reviews based on your experience using this site. Your review will help the developers to know about the problem you might face while downloading the software from their site. It helps them to develop their site to be better and better. Thus, you can participate in FileHippo Website by reviewing the experience of using their website to the other online users. Do You Want to Play Game? Get Recommendation for It! Gaming is one of the fun activities which many people like to spend. There are many games you can find for PC as well as a smartphone. You just have to find one or more to play like Angry Bird. Do you need a recommendation for playing the best game ever? It is released in 2015 from the Ubisoft Montreal developer. 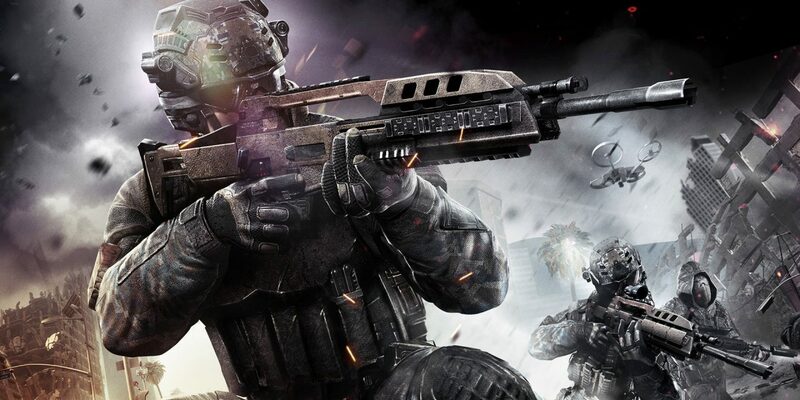 The game is modern and accessible FPS which rewards clever coordinated teamwork and timing as much as the aim. There are many pieces of stuff you can get like guns, elaborate maps, gadgets, and characters. This game is released in 2016 by Blizzard developer. It has colorful and bright characters inclusive world. You can see that the character is a hero team with its shooter. The team has skills, DPS, tanks, and other pieces of stuff to achieve the winning. This game is released in 2017 by Epic developer. You can see the architecture quality starts from green pastures up to impromptu skyscrapers which can make you feel so excited. You can get skins, tools, traps, and weapons for helping you through many levels. It is released in 2016 by id developer. Don’t you know? The original of this game was released in 1993 and becomes the most influential game shooters. Comes with a new game, the developer has created a new family name, and some fun. It has a singular purpose. You can get the character as a demon or a gun. All you can do is just shooting the demon face in every level. It is released in 2019 by Fatshark developer. As its name, Warhammer, it means you can get a war by using a hammer as the weapon. The character of this game is four heroes and you can pick one of them. All you can do is punching every rat one by one to save the world. Every hero has its own skills and weapon to punch the rat. It is released in 2018 by David Szymanski developer. This game is a modernization of classic game which has a great time, especially for DOS-era shooters. You can get all of them like dual-wielded shotguns, metal soundtrack, secret chamber, color-coded keys, and many more. Those are the best recommendation games you can spend your free time with. You just have to find out one or more games you like playing most. It helps you to spend your free time in a fun way. Web Browser is an application that gives a significant value to the Android smartphone we have. The function of this application itself is to help us access the internet or the World Wide Web. Mostly, the browser applications are usually installed by default on every Android device. However, not all browsers can give us the expected browsing experience because they have their own advantages and disadvantages. Therefore, the Android users can use one of the best out of 4 browsers on Android. There are lots of third-party browser applications that can be downloaded for free on the Play Store and FileHippo provides computer software like browser too. The browser can provide the best browsing experience for you. The following 4 applications come with some attractive features and also reliable performance. More than 1 billion downloads, Chrome is one of the favorite browser application for the smartphone users. Chrome is also installed on several Android devices. This application has all the latest features needed for the browser. This feature includes unlimited tab browsing, desktop synchronization, HTML5 support, a faster and safer browsing experience, news article display, incognito mode, Google voice search, etc. Google Chrome is considered as the safest and the most trusted Android browser in the world. This browser can be downloaded for free on the Play Store. Here are the pros of Google Chrome. First, it is providing a fast and reliable browsing experience. Have more tab browsing controls. Has a data-saver feature. Yet the cons is it does not have support for add-ons. It has many similarities to its desktop version. Firefox is also one of the best browsers on Android that provides users with a wonderful browsing experience. The important features in Firefox are like HTML5 support, synchronization support, and add-on support. You can send a video or web content from your Android smartphone to a TV device that is equipped with the tool that makes it able to stream. Firefox is one of the safest Android browsers and can be downloaded for free on the Play Store. The pros are, it provides an easy access to several top sites. It has the “fast sharing” feature on Facebook, Skype, Twitter, etc. The cons are if it is loading on heavy pages, it doesn’t run smoothly. Opera Mini is a familiar browser to the users of iOS and Android devices. This browser can also save your data when browsing. Opera Mini also provides features to download videos from the social media. It is lightweight and can be downloaded for free, and this browser also provides many important features for the browser. Additional features include speed dial, data tracker, night mode, news updates, private browsing, etc. This browser also uses cloud acceleration and also data compression technology to provide the best experience for the users. The pros are, it has an intuitive interface. Can load pages more quickly and can save the data usage. Has a security integration feature. Cons: Has a limited number of add-ons. UC Browser is a mobile browser that has so many features. This browser is available on several platforms including Android, iOS, Blackberry OS, Symbian, Microsoft Windows, and Windows phone. Just like Opera Mini, UC Browser also uses cloud acceleration and also data compression technology. As one of the best browsers on Android, same as the other browsers, it also has HTML5 web application, small window mode, cloud synchronization feature, function to block ads, night mode, facebook mode, etc. It can be downloaded for free. This browser is one of the best browsers on Android that provides the best browsing experience for the users. Pros: Provides options to speed up the download. Have many add-ons. Provides the option to view pages as text only. Cons: The security integration feature cannot be used in some web and some applications.